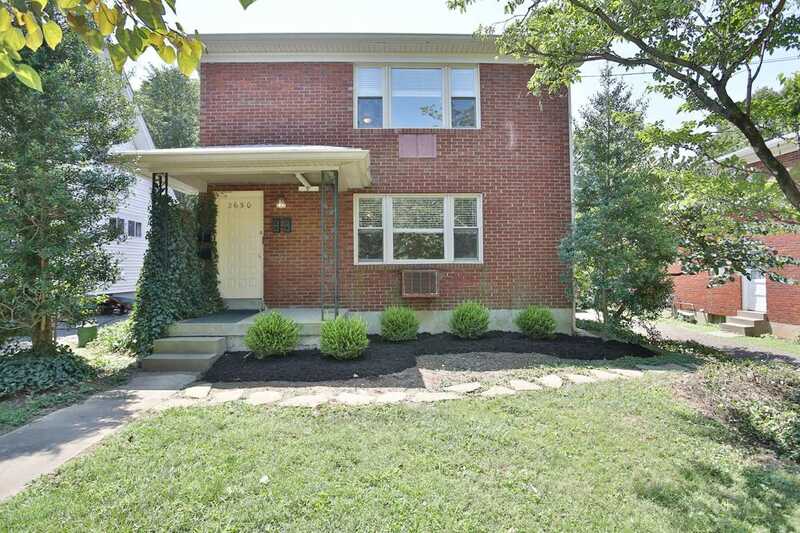 Well maintained brick duplex, fabulous Crescent Hill location, in move-in condition. Built in 1961, the building has a 3 year old roof, replacement thermal doors and windows plus recently installed aluminum soffits. Off street parking with a driveway and room for a parking pad in the back. Units are identical 2 bedroom 1 bath floor plans. Built-in bookshelves, hardwood under the carpet, good closet space, newer light fixtures and blinds on all the windows. Central air and heat and a whole house fan. Eat-in kitchens have gas ranges, refrigerators, butcher block counters, downstairs unit has a dishwasher (latch needs repair). Patio on the first floor and a deck on the second. The private back yard is fenced on three sides. Full basement with hook-ups for two washers and dryers. Nice owner occupant opportunity here. Directions:Frankfort Ave to S. Hite to right on Longview OR Franck to left on Longview. SchoolsClick map icons below to view information for schools near 2630 Longview Louisville, KY 40206. Home for sale at 2630 Longview Louisville, KY 40206. Description: The home at 2630 Longview Louisville, KY 40206 with the MLS Number 1510320 is currently listed at $255,000 and has been on the Louisville market for 263 days. You are viewing the MLS property details of the home for sale at 2630 Longview Louisville, KY 40206, which is located in the subdivision, includes 0 bedrooms and 0 bathrooms, and has approximately 1776 sq.ft. of living area.